Truth be damned! Emerging from a fug of frozen-peas ads, crappy health and burst projects, Orson Welles’ final film as a director was one last rabbit out of the hat: a definition-defying examination of trickery itself. Derailing a BBC documentary about legendary art forger Elmyr de Hory, Welles shreds it into a subversive, self-indulgent cine-essay on “two world leaders in fakery”: Hory and his biographer/fellow-faker Clifford Irving. Gatecrashing into the edit come Howard Hughes, Pablo Picasso and a fascinating dissection of reality, falsehood, bluff and narrative in a ludic comedy of secrets and lies. 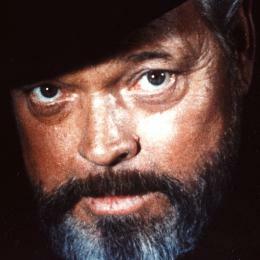 At the centre, of course, is Orson himself – cinema’s ultimate fake, artist, dupe and magician. Deliberately avoiding any shot that might be regarded as “typically Wellesian”, he’s the winking subject of the movie, hiding in plain sight of the dizzy, self-reflexive whisk. Every cut is lie, Godard once said. But for Welles here, every cut is a trick, his sleight-of-hand editing taking a solid year, working seven days a week, before this “new kind of film” was revealed to a baffled world. It’s a remarkable story, some of which emerges in the commentary from Welles documentarian Bill Krohn and producer Gary Graver. But where is the legendary nine-minute trailer from the two-disc Criterion, not to mention the docs about Welles, Irving and de Hory? Another con, then. And not one to be pleased with.